West London is the city’s prime office market, and as such, it is also home to a large amount of shared and flexible office space. 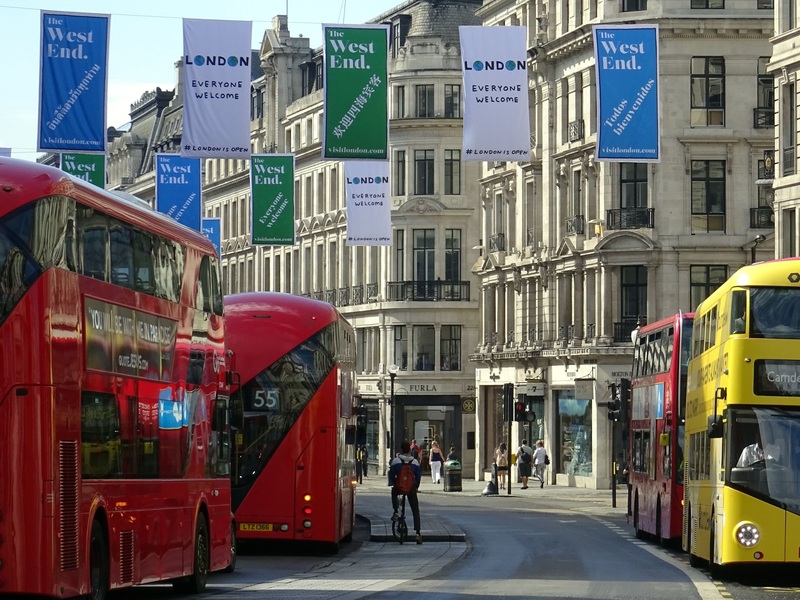 There are 2 million square feet of flexible office space in the West End, approximately 400,000 square feet in the West End Fringe (including Hammersmith, Kensington, and Knightsbridge), and a further 350,000 square feet in emerging West End locations such as Euston and Marylebone. All in all, the West End has the second largest percentage of flexible office inventory in the city, with approximately 3 per cent of all its stock and only surpassed by The City. Some of the top coworking hotspots in London are in West London. For example, Soho’s reputation for being a creative hub means companies based here may be more inclined to try alternative workspace arrangements. Established coworking spaces in this area attract startups and firms in the growth stage mainly in sectors like design, film-making, media, and public relations. According to a 2018 report, average workstation costs across West London go from £650 to £1,500 / month. Cost variation makes the area attractive to a wide range of occupiers, who can choose between affordable spaces in NoHo and Paddington, and high-end options located around the West End core. Mayfair and St James’ are prime office locations in West London, although they are also the areas commanding some of the highest prices. Tenants are usually high profile, so coworking spaces in these areas are often fitted to the highest specifications and mimic luxury business clubs. Some examples include 12 Hay Hill or The Clubhouse. High-end coworking hubs can also be found in Marylebone, where there are several hubs managed by The Office Group, as well as smaller venues like Workthere, Headspace, or Landmark. In Soho, coworking hubs are mainly owned by large operators such as WeWork and Regus, although there are quite a dew independent spaces in the area, such as like Sohost, Airspace, Coworkyard, eOffice, and The Boutique Workplace. The West End is home to a varied mix of boutique and standard shared workspaces, the most well known of which include Bloom and Mortimer House in Fitzrovia (the former also has incubator space), Central Working (with venues in Victoria, Bloomsbury, and Paddington), and Makerversity, which has a central location in The Strand. Incubator space is available at Wayra in Fitzrovia, Imperial Innovations in Kensington, True in Victoria, and MeWe360 in Soho. Additionally, the success of the shared / flexible space model has prompted some property firms that traditionally only offered conventional office space to adapt to market requirements and offer short / flexible leases in some West End locations, such as Fitzrovia and Soho. The initiative has so far been successful, and other companies are adopting the same model and incorporating flexible space to their portfolio.